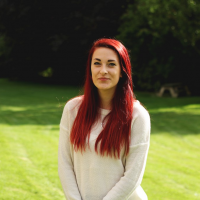 Hannah Remm is a youth worker at The Briars, the residential youth centre for the Diocese of Nottingham. 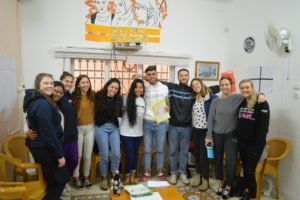 Over the past year Hannah has been involved with CAFOD’s ambassador scheme, and recently she gathered with other youth leaders to spend time reflecting on the current refugee crisis and CAFOD’s response in Syria and Europe. 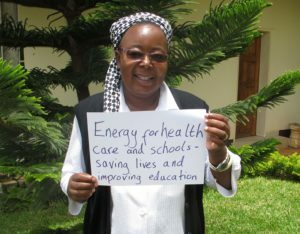 Nana Anto-Awuakye is CAFOD’s World News Manager. 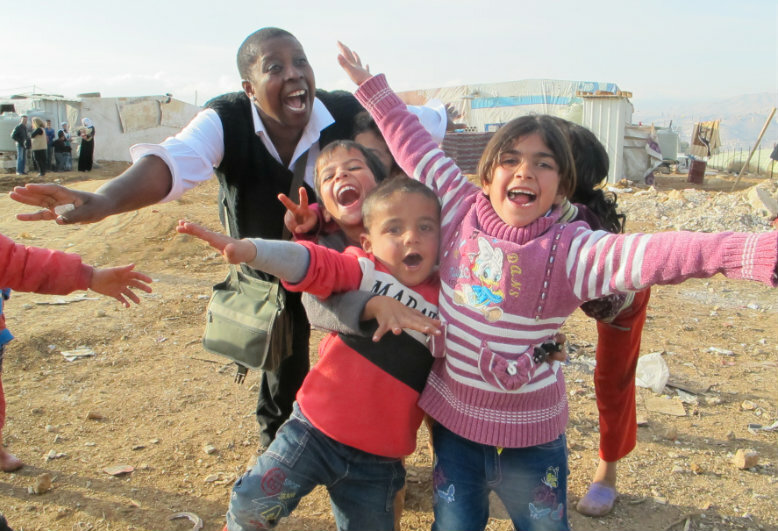 She recently met families living in the Bekka refugee camp in Lebanon as part of CAFOD’s Lost Family Portaits project. Only a few weeks earlier I was in Lebanon’s Bekka valley, just nine kilometres from the Syrian border. I was working with our partner Caritas Lebanon Migrant Centre, the photographer Dario Mitidieri, and the creative agency M&C Saatchi to photograph family portraits of Syrian refugees inside some of the informal camp settlements in the Bekka. Our arrival with the photography crew creates an air of excitement, as children run out from the labyrinth pathways in between the tented dwellings, as if the Pied Piper were calling them. Dario Mitidieri began his career as a professional photographer in 1987 working for The Sunday Telegraph and The Independent newspapers. In his long and illustrious career, he has travelled to Tiananmen Square in Beijing to witness the army repression of students. He has also photographed the conflict in Northern Ireland, the Iraq War, the 2005 Tsunami in Indonesia and the Kobe Earthquake in Japan. He recently travelled to the Bekaa valley, Lebanon, with CAFOD and creative agency M&C Saatchi where he worked on studio-styled portraits of twelve families who have fled the conflict in Syria. It is early – just before eight, but winding through the steep hill side roads of Lebanon’s capital Beirut, there is a frenzy of building work: hotels and luxury apartments going up. This ancient, open city is alive. Once we leave the concrete landscape behind us, the undulating hills of the Bekaa valley – Lebanon’s agricultural pulse and once the ‘breadbasket of the Roman Empire’ – come into view. Overnight there has been a first dusting of snow on the hills. Just over the mountain ridge, some nine kilometres away is the border with Syria. 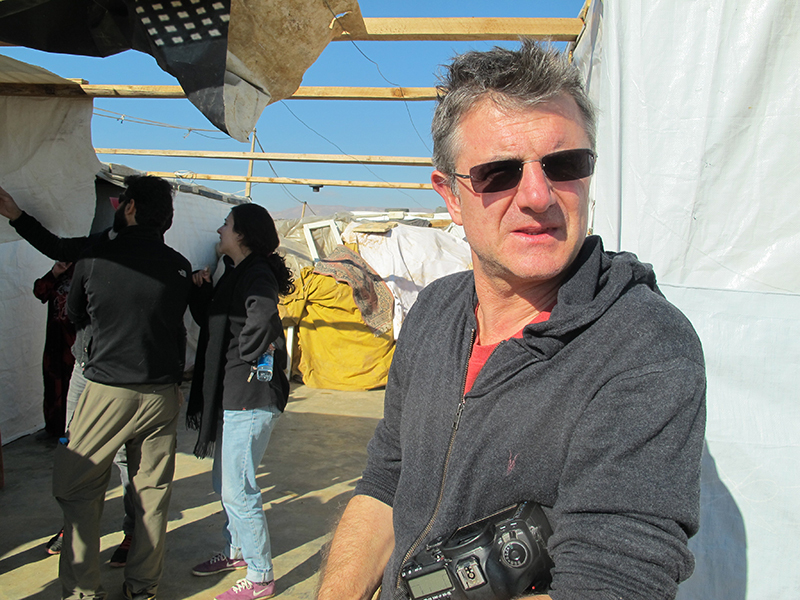 I’m heading to a Syrian refugee camp, with CAFOD and its partner, the Caritas Lebanon Migrant Centre. Just before Christmas, I came together with CAFOD, the Caritas Lebanon Migrant Centre and the creative agency, M&C Saatchi, to work on a unique project to highlight the plight of Syrian refugees: Lost Family Portraits. On International Migrants Day, CAFOD’s Susy Brouard reflects on the Jubilee of Mercy and compassion for refugees. Susy Brouard from CAFOD’s Theology Programme reflects on the new Doors of Mercy which are being opened around the world, and the ones which already exist…..
Last week Pope Francis launched the Extraordinary Jubilee of Mercy by pushing open the normally bricked-up bronze doors of St Peter’s Basilica in Rome. This was the very first Door of Mercy to be opened this Jubilee year, which began 8 December. The Holy Father asked Catholics that as they walk through it, they should take on the role of the Good Samaritan. Throughout England and Wales, dioceses, schools and parishes have taken up the Pope’s initiative in diverse ways – my personal favourite is the Jubilee of Mercy double-decker bus which will tour parts of Greater Manchester and Lancaster come February next year. Inside, priests will be available for confession, a blessing or simply a chat. Opening new Doors of Mercy is a fantastic idea which will open up spaces where people can find healing and reconciliation. However, last week, in conversation with a Religious sister who works with vulnerable women, she raised the fact that there already are, within and outside the Catholic Church, Doors of Mercy, which people walk through daily and find places of healing and sanctuary. How true, I thought! 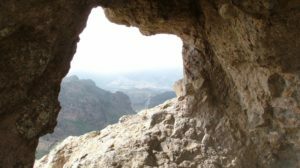 As a CAFOD member of staff I began to reflect on where the Doors of Mercy are in our work. I thought immediately of the work that our sister agencies in the Caritas network are doing with refugees. Surely any entrance to a building which provides a safe refuge for those who have nothing is a Door of Mercy? Surely any entrance to a building which provides sanitation facilities, psychosocial support and above all, a warm and genuine welcome, is a Door of Mercy? These Doors, as well as the new ones, need to be highlighted and celebrated. CAFOD is working with its partner Caritas Serbia to support thousands of refugees as they attempt to travel north. 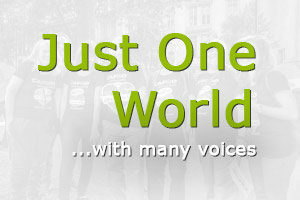 Stefan Teplan from Caritas describes what it was like to meet just one of them. “I walked so many roads,” says Abdalkarim. “I crossed so many rivers. I went over so many hills and valleys. I lost my home, my belongings, literally everything.” Abdalkarim Zahra is only 26, yet he says he is “totally finished”. It’s been many weeks since he fled his home in Syria. His journey has taken him to Turkey, Greece, Macedonia and Serbia. People smugglers have taken all his money. He has been pushed into an overcrowded boat to reach Greece. He has worn the same clothes for weeks. He has suffered hunger and thirst. He has been kicked by border police. “Can I still be called a human?” he asked. 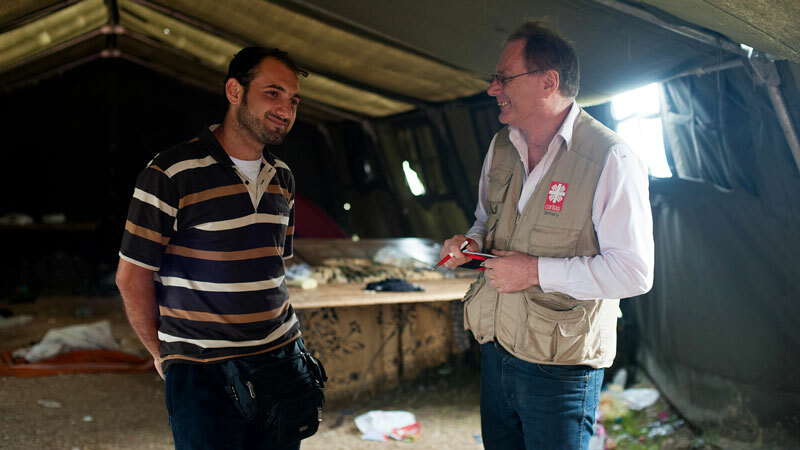 I meet Abdalkarim Zahra in a refugee aid camp in Kanjiža, a Serbian town 3.5 kilometers away from the Hungarian border. About 2,000 to 3,000 refugees come here every day on their way to Hungary. They then head mostly to Germany. With support from CAFOD, Caritas Serbia is providing emergency relief there, in two other refugee aid camps in the south of the country in Preshovo on the Macedonian border and in the capital Belgrade. Just like tens of thousands before him (and most probably hundreds of thousands after him), Abdalkarim Zahra has stayed in them all. In these camps, Caritas Serbia distributes drinking water and juice to the refugees, provides medical help and legal support. In Kanjiža, Caritas is even providing a temporary facility for refugees and migrants that has bathrooms, showers and beds.